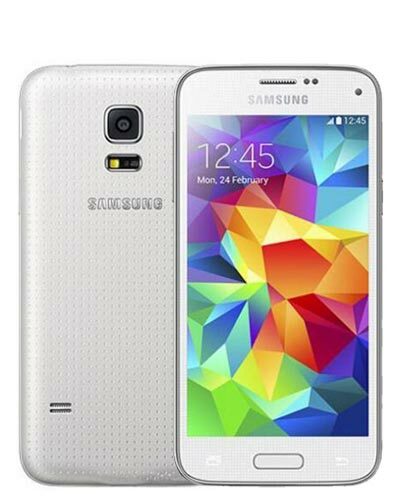 We provide top-quality Samsung Galaxy S5 Mini repairs almost anywhere in Metro Vancouver. This skinny on this mini is model number SM-G800F. Oh no! Your precious Galaxy S5 Mini took a faceplant. The good news? We can fix that? Trust Vancouver’s cell phone repair experts to have your device fixed right the first time with quality parts. Call us at 604-700-6049 to secure your screen replacement and we can fix your device within an hour. It's pretty difficult to use your smartphone when the display is damaged! But not to worry - we can restore your Samsung back to its former glory with a brand-new screen so you can get your life back on track. Get your fix at our storefront location or have us come to you and fix it on-site. If your USB cable doesn't fit or charge your Samsung, you may need to have the charging port replaced. A simple repair can get your phone juiced up and ready for use once again. Get your fix at our storefront or have us come directly to you to facilitate the repair at your location! Uh-oh! Your Samsung is dead. Before it ends up in a shallow grave at the bottom of your desk drawer, let us replace the battery to give it new life again. Get your fix at our storefront or have us come directly to you to swap out the battery right at your location! We got this. If you can't hear people during a phone call or if your Samsung doesn't ring when somebody calls you, you might need a new ear speaker or loud speaker. Get your fix at our storefront or have us come directly to you to facilitate the repair at your location! We got this. Those buttons aren't nearly as satisfying to push when they don't do anything! Whether you are having trouble with your home button, volume buttons, power button or the mute toggle, we got this! Get your fix exclusively at our storefront location. Delivery options not available. Just because your phone went for a swim, that doesn't mean you have to flush it down the toilet! Bring your water-damaged Samsung into our shop and we'll do everything we can to bring it back to life. The price of the repair all depends on what needs to be replaced and whether or not it's fixable. Having trouble with wifi, bluetooth or cellular connectivity? We can replace or repair the antennae inside of your phone to rectify the issue! Please phone us at 604-700-6049 to check for a quote and stock availability. A special order may be needed for this repair. Delivery service not available. Your back panel is busted! But not to worry - we can replace it quickly and for a great price to boot. Come to our shop for the cheapest price and we’ll have your Samsung back to normal in no time. If you're getting this repair alongside another fix for your phone, we can knock off $20 too!